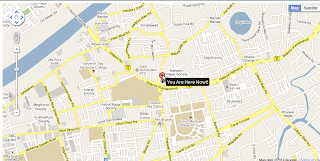 Google Maps is one of the best Web Mapping Services offered by Google. As I'm the biggest fan of Google's products and services, I love to use Google Maps. It has the wide rage of Functionalites, Options, events, types etc to suit our requirements. Following code is the simple example to include Google Maps in our Applications. To start with with HTML part, we need to define a container to include Google maps in our HTML page. 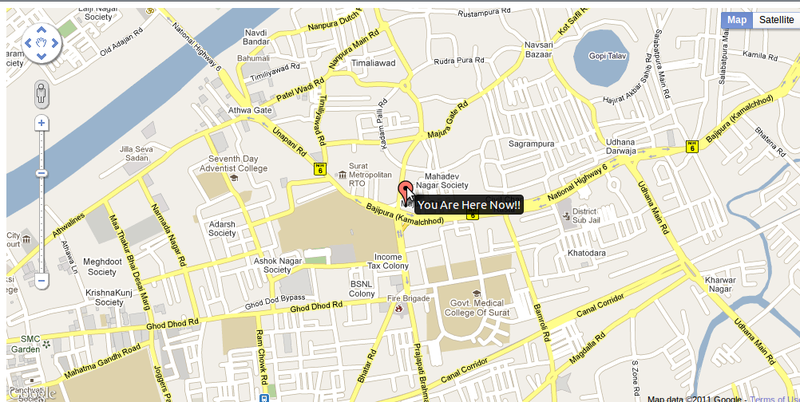 In this example I have taken a div by the name "mymap" as the base container to include Google map. The Height, width or any other css properties of the div can be set as per the requirements. The new instance of the LatLng is created by taking the values of Latitude and Longitude as the parameters, here I have taken the values of Latitude and longitude of my current location, it could vary as per the location. 'zoom' includes the zooming levels of the maps. the more is the zoom level the more we go towards the interior of the location or place. 'center' indicates the center most position of the Map, here I have given the parameters as my current location so the specified location will become the center most location. 'mapTypeId' here I'm using ROADMAP, other options also includes SATELLITE, HYBRID and TERRAIN. Thus, the map object is initialized by the above specified parameters and the id of the div container of the HTML page. Then the marker object is placed in the map at the Latitude and the Longitude position specified with the ToolTip specified (see screenshot) as "You Are Here Now!!". This was the very basic example, of the Map with the marker, you could have multiple markers, events to the markers, Popups etc, and other multiples things to suit your requirements. Thats all for now from my end. Hey but how do i fint the Latitude n Longitude of a place???? ?